This one statement captures it all. Mornings are indeed the most productive hours of the day. The birds chirping, the chill in the air and the dew droplets on the leaves – the atmosphere is so soothing that it brings out the best in you. Alas! Most of us (including me!) have wasted most of our mornings, and we keep doing it. Unfortunately, most of these mornings are spent in slumber missing out on the best moments of the day. Of late, I have started this routine of waking up before dawn and ideally hitting the ground before the early morning sunlight. Taking a walk around the ground, slight stretching exercises, some yoga exercises or sometimes just sitting there on the bench and observing the beautiful nature – the day seems all charged up. 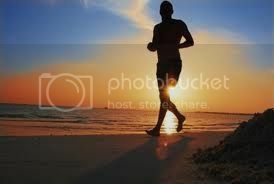 Exercise: Work out in the morning. After running, or brisk walking, 10 Km at a stretch early in the morning, heaps of work in the office should be a smooth run. Anything in the form of exercise – Yoga, stretching, meditate, etc. A 45 minute brisk walk session followed with half an hour of Yoga works perfectly. Have been trying to accommodate meditation into the routine for sometime now. Planning my day: The extra fresh hours in the morning, give me ample time to put my day in place. Mapping out the schedule for the day, and the to-do list, makes it so much easier. Healthy Breakfast: No stress on the importance of this meal. So I tend to have a good, hearty one for this. Writing: Well, reading and writing is supposed to be a leisure activity and thus should be done anytime during the day right? Well, true. But bringing in some amount of discipline gets more productive results. Also, mornings allow the mind to think freely and be more creative. All this waking up early and getting into a routine forms a very strong and powerful thing within ourselves (other than the six pack abs, if you are the gymming kinds) – HABIT. Habit is probably the most powerful thing that drives us to do anything, and the best way to form it is in the mornings when it sticks the best! Developing this habit in the daily routine has made me realize that the day actually has enough number of hours, it just needs better planning. With this, I am off to get my breakfast, yes a whole and hearty one.